Many children with attention deficit hyperactivity disorder (ADHD) have difficulty with reading comprehension. Because reading plays such a crucial role in a child's life and can even affect a student's self-esteem, it's important to be aware of the literacy struggles that disproportionately affect children with ADHD and to get help for them. Reading is such an important part of school and learning in general, whether or not a child has ADHD. Every subject area requires that a student be able to comprehend reading material and retain that information. This involves not only understanding the words in a passage, but also remembering, organizing, analyzing, and constructing meaning from those words. When students have a poor grasp of what they read, every area of academic functioning for that student is impacted. Delays in this area can lead to not only gaps in learning and academic frustrations, but also feelings of inadequacy and self-consciousness for the student. Thus, it's critical that children with ADHD who struggle to read receive resources to help them improve. If you find that your child with ADHD reads fluently and accurately when he reads aloud to you, yet has trouble understanding and remembering what he just read, it's likely that problems with sustained attention are getting in the way. Many students with ADHD can fall behind while reading, missing phrases in the text, skipping over words or sentences, losing track of where they are on the page, missing details and connections. This is especially evident when passages are long and complex. Boredom and fatigue can take over and attention can quickly wander elsewhere. In addition to remaining alert and resisting distractions, reading comprehension requires a student to be able to recall what has been read in preceding sentences and paragraphs. This way she can develop and modify an adequate working understanding of the message of each section of the text and how those components are related to one another. Processing and integrating all this information is complex. The student must be able to sort through the concepts in the text, select the most pertinent information, hold that information in mind and then analyze it. A child must also be able to retrieve, relate, and apply relevant prior knowledge quickly and effectively in order to draw inferences. Keeping track of multiple concepts at once and continuously self-monitoring to make sure what they are reading makes sense can be incredibly difficult for a student with impaired working memory, often a problem for children with ADHD. 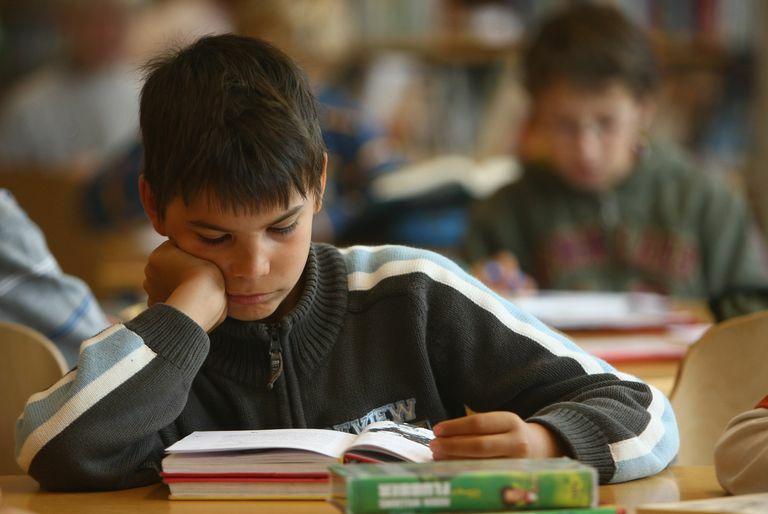 What Do Reading Problems Mean for My Child With ADHD? If you are concerned about your child's reading comprehension, please speak to a pediatrician. Sometimes these challenges are related to a co-occurring reading disability such as dyslexia. The good news is that there are strategies to improve reading comprehension in students with ADHD. With guidance, you can help your child gain proper reading skills and confidence. Thomas E. Brown, Philipp C. Reichel, Donald M. Quinlan; Department of Psychiatry, Yale University School of Medicine. “Extended time improves reading comprehension test scores for adolescents with ADHD” Open Journal of Psychiatry; 1, 79-87, October 2011. Mel Levine, Educational Care: A System for Understanding and Helping Children With Learning Differences at Home and School. Educators Publishing Service, 2001. Sydney S. Zentall, ADHD in Education: Foundations, Characteristics, Methods, and Collaboration. Person Education, Inc. 2006. Why Is Math Difficult for Those With ADHD?